Companies must manage known and unanticipated risks comprehensively in order to pass audits and meet Sarbanes-Oxley (SOX) requirements. 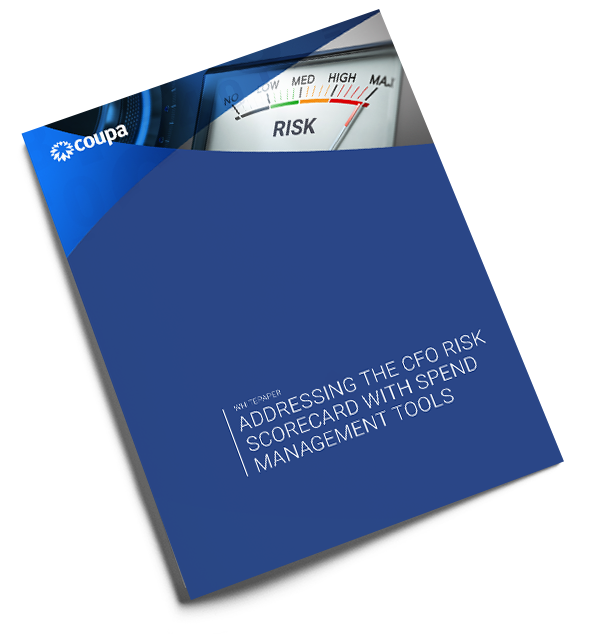 A CFO-prepared Risk Scorecard is a great way to assess the range of risks your organization is facing, but it doesn’t offer any solutions. That’s where Coupa comes in. Coupa’s cloud-based spend management suite makes it easy to increase organization-wide control and manage risk, allowing you to build in compliance and pre-approval for better budget management, accurate accrual reporting, and a clean audit trail.